U.S. Sen. John McCain said last year that he wanted to be remembered for his service to his country and that is how nearly every lawmaker and many of the journalists who covered him have paid tribute to him after his death. But there is another reaction playing out over McCain's legacy as well, less mentioned in the running cable news commentary but present in comment threads on Facebook and Twitter. Some on both sides of the political spectrum are refusing to join in the tributes to a man who styled himself as a maverick determined to go his own way and who left behind a complicated legacy over his more than 60 years of service. 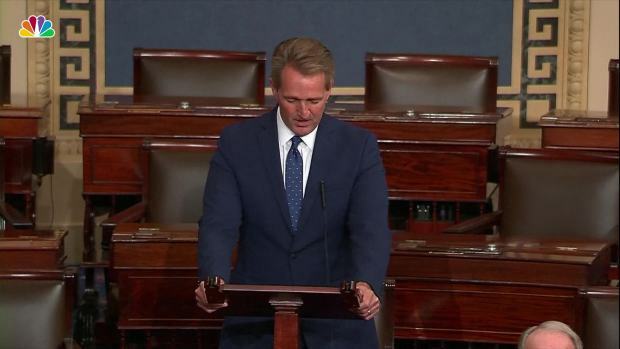 U.S. Sen. Jeff Flake, R., Ariz., gets emotional on the Senate floor remembering John McCain. McCain worked across the aisle with Democrats such as Sen. Ted Kennedy, with whom he proposed an immigration reform bill, and with fellow veteran former Sen. John Kerry on reconciling with Hanoi. But in 2000, he refused to apologize for using a racial slur against his North Vietnamese prison guards, a stand that earned him quick censure. Politicians who tried to breach the partisan divide found themselves facing accusations of betraying their beliefs. A tweet from New York’s Alexandria Ocasio-Cortez, a progressive candidate for the House, in which she said McCain’s “legacy represents an unparalleled example of human decency and American service,” elicited attacks on the senator and frustration toward her. “No, no, no Alexandria. He was a war criminal, hands down. You are young, please reconsider your opinion,” wrote one follower. Sen. John McCain died Saturday, Aug. 25, 2018, at the age of 81. McCain was diagnosed with brain cancer in July 2017. McCain himself left a letter to his country in which he appealed to his fellow Americans to love the United States the way he did, and appeared to criticize Trump without naming the president. He wrote that although Americans sometimes vilify each other in public debates, they have so much more in common than in disagreement. But is that still true or is the country so fractured, so angry, so polarized that Americans can no longer see anything in common with their political opponents? During his 2000 race against George W. Bush, he deferred to South Carolina over whether the Confederate battle flag should be removed from the Statehouse instead of calling for it to be taken down. He changed his mind about how to honor Martin Luther King Jr., supporting a state holiday in Arizona though he hadn't a national holiday. “We can be slow as well to give greatness its due, a mistake I myself made long ago when I voted against a federal holiday in memory of Dr. King,” he said. He expressed regret about choosing Palin over former Connecticut Sen. Joseph Lieberman, a Democrat who became an independent — though without criticizing Palin’s performance, which some people say opened the door for President Donald Trump’s populist strain and celebrity culture. 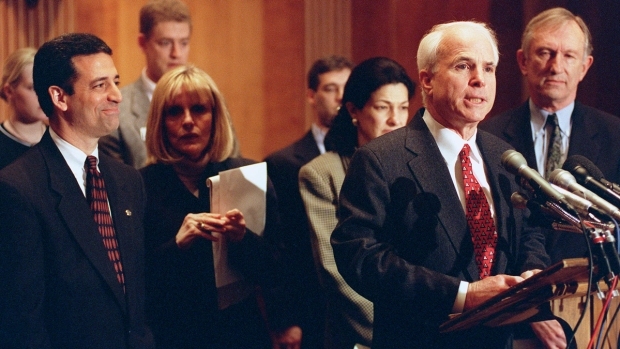 On the right, McCain was lambasted as a RINO, or Republican in name only, who defied Trump and his party on Obamacare, and was accused of being part of the so-called “deep state” — permanent government officials, who were working to oust Trump. Trump was angry that after the 2016 election, McCain had given the FBI a copy of a dossier detailing unsubstatiated salacious allegations against the president. McCain had learned of the dossier from a retired British diplomat while at a security forum in Canada, and later passed a copy to the FBI. The 35 pages of research memos written by Christopher Steele, a retired British spy, allege a conspiracy between Trump's campaign and the Russian government to help Trump win the election and include unsubstantiated reports of Trump meeting with Russian prostitutes. “Upon examination of the contents, and unable to make a judgment about their accuracy, I delivered the information to the director of the FBI. That has been the extent of my contact with the FBI or any other government agency regarding this issue,” McCain said in a statement. He disagreed with hard-line immigration policies emerging under Trump, who in an op-ed published in USA Today in 2015 accused McCain of pushing “amnesty” during his time as a senator. McCain in his last book, “The Restless Wave,” countered that some politicians were racists. 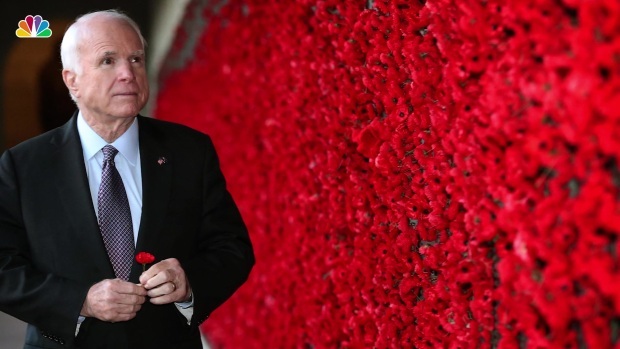 His Vietnam record was mocked by some — Trump famously said that because McCain was captured, he was not a hero -- and though he supported wars in Iraq and Afghanistan, he fought back against interrogation methods he called torture. When Democrats released a report on the harsh methods in 2014, and most Republicans were muted in their response, McCain was not. He said he knew from his own experience that the abuse of prisoners produced more bad intelligence than good. The rancor between McCain and the president was on full display in the year after McCain was diagnosed with brain cancer and he became known as one Republican unafraid to stand up to Trump. McCain called Trump’s summit with Russian President Vladimir Putin “a tragic mistake” and accused Trump of failing to defend America as “a republic of free people dedicated to the cause of liberty at home and abroad.” The antipathy continued to spill out after McCain’s death when Trump initially declined to release a statement honoring the senator and raised the U.S. flag over the White House on Monday while Congressional flags remained lowered to half staff. By the end of the day the White House flag had been lowered again. McCain’s circle meanwhile announced the president would not attend his funeral. His willingness to take on Trump might have contributed to the fact that more Democrats than Republicans had a positive view of McCain. Before the 2008 election, 15 percent of Democrats had a positive view of McCain, compared to 91 percent of Republicans. But last year, an NBC/WSJ poll found that 52 percent of Democrats and only 35 percent of Republicans had a positive view. That personal dislike aside, McCain voted in line with Trump’s position 83 percent of the time, according to an analysis done by FiveThirtyEight. Whether that showed independence or a lockstep loyalty to his party despite disagreements is part of the debate. 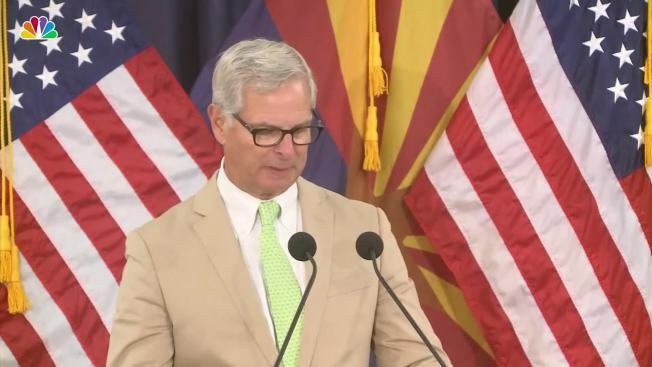 His fellow politicians offered their own contrasting views of McCain. CORRECTION (Aug. 29, 11:59 a.m. ET): An earlier version of this article misstated the year when John McCain told a joke in bad taste about Chelsea Clinton.